What does Munchkin have to say about the Warm Glow Wipe Warmer? "Do ice-cold wipes trigger unhappy cries during diaper changes? The Warm Glow Wipe Warmer by Munchkin will soothe baby's bottom and warm mom's heart. Help make diaper changing more enjoyable for your little one with the comfort of a warm wipe. This convenient wipe warming system stores up to 100 standard baby wipes and dispenses them conveniently from a flip-top lid. Its low-voltage, top-down warming system ensures a warm wipe every time without the risk of browning, drying, or discoloration. It also features a soft glow night light that helps with nighttime changes and automatically shuts off after 10 minutes of use. A built-in window allows you to keep tabs on your wipes supply without opening the unit, while the tightly sealing system keeps wipes moist over time." This is one of those products that you get mixed reactions about. Not about the product itself, but about the idea of it. Half the people who have seen this in Aubrey's nursery say, "That's great! I wish I would have had one of those." The other half take the "Is that really necessary?" approach. No, not a necessity. It is something that you could technically live without, but why? Anything that can make a 4am diaper change easier, the better! I love that this wipes warmer warms from the top. With use, the wipes on the top rotate out quickly, therefore not drying out. Wipes also don't turn brown with this warmer. Less wipes in the trash is always a good thing! This warmer comes with a night light built in. This is really great for late night changes when you want a little extra light to see what you are doing at the diaper station. The only thing I don't love, is the color. I would love to see one of these in plain white. This is where we get to the good part! One of you is going to win your own Munchkin Wipe Warmer! RULES: This giveaway is open to US residents 18 years or older. Giveaway will end July 18th at Midnight EST. All entries will be via Rafflecopter widget below. 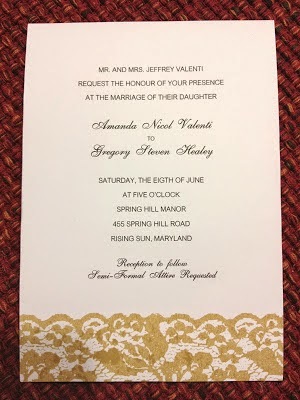 One person entering per household please. Winner will be contacted through email and have 48 hours to reply to claim the prize. Good luck! I must say, I take advantage of free massages from my husband while pregnant. There is nothing like someone rubbing you down with lotion after a long day in your third trimester. I was lucky enough to receive Udderly Smooth from Twitter and gave it a try. 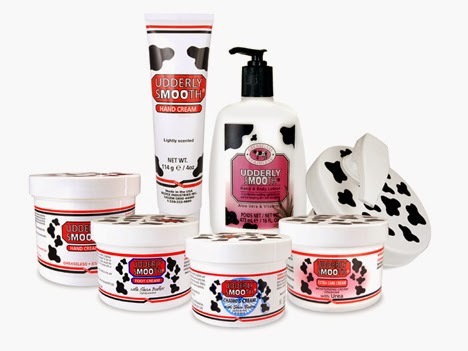 "Made in the USA for over thirty years, Udderly Smooth® products contain rich moisturizing ingredients. Not your average moisturizing lotion- Udderly Smooth® can be used on Dry Skin, Cracked Skin, forDiabetes Foot Care, as a Facial Moisturizer, as a General Moisturizing Lotion and many other uses." When it came in the mail I couldn't wait to ask for my foot rub. The lotions have a very slight fragrance which is how I like it. I like to be able to put on lotion and feel nice without walking around smelling up the room. My husband has a sensitive nose and the smell didn't bother him at all! He rubbed the cream into my feet and I could already feel a difference from the lotion we used to use. It felt like the Udderly Smooth soaked right into my dry heels and made them softer. We decided to put more of the foot cream on and put my socks on overnight. It worked GREAT! My feet looked and felt so much better in the morning. No more dryness. I really enjoyed how Udderly Smooth wasn't greasy either. Previous lotions that we have used leave a greasy sheen after applying, this one didn't. I ended up using the Body Cream on my (oh so large) pregnant belly and legs. I used the Hand Cream on my hands and arms. My husband isn't lucky enough to have a spouse that is willing to rub his feet down with lotion (sorry hunny!). He however, loves that this is a USA made product. He is a big supporter of USA made products and will try his best to make sure to buy USA made when possible. You can buy Udderly Smooth from their WEBSITE OR there is a ton of RETAILERS that sell it near you. I was so happy to receive my Choopie City Grips and Hooks in the mail yesterday! I have been watching the mail like a hawk for them to come. 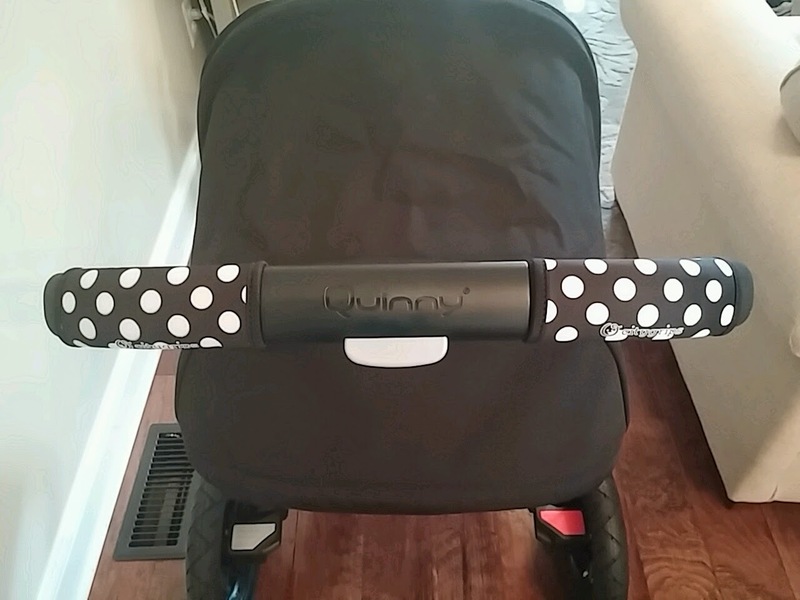 I couldn't wait to get them and try them out on my new Quinny Buzz Xtra! Soft, stylish & comfortable grip covers slip onto any stroller’s handlebars in seconds, preventing and protecting against everyday wear and tear. Avoid grimy, sweaty hands with durable and easy-to wash citygrips. 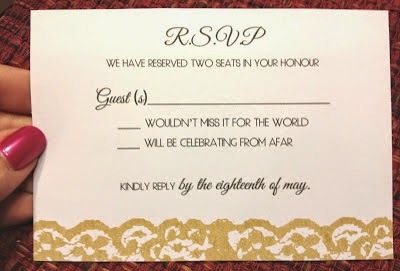 They come in Single bar, Double bar, and now in Large Single bar! 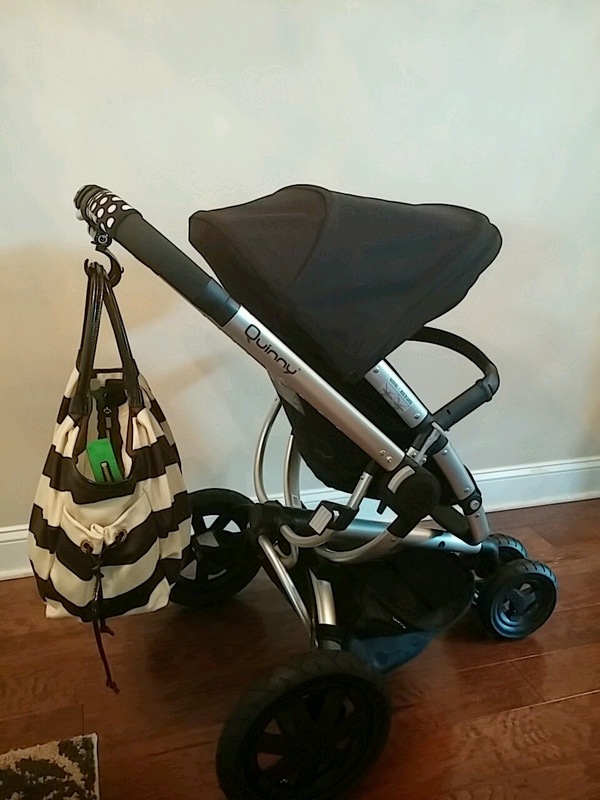 So no matter what stroller you have, there is a City Grip for you! 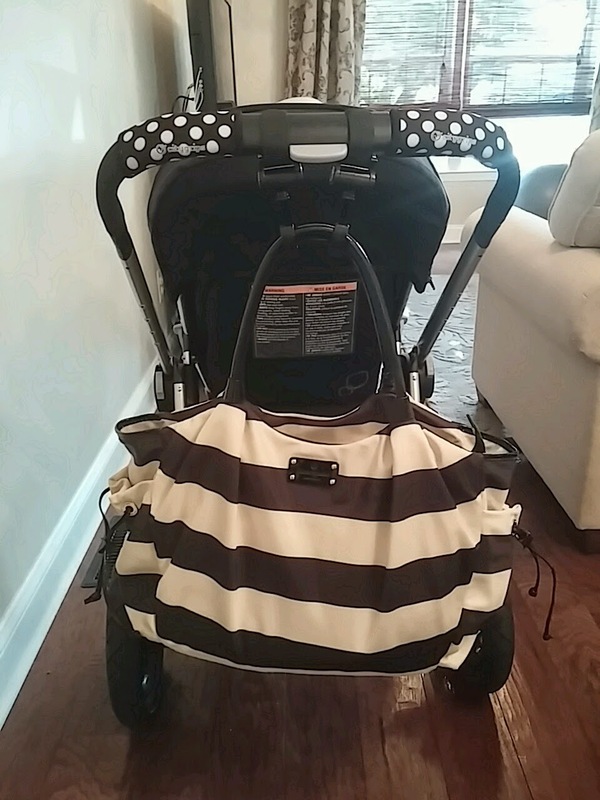 Cityhooks are the ideal stroller accessory to attach the soho citybag to a stroller, with the added benefit of hooking on anything else a parent might need. 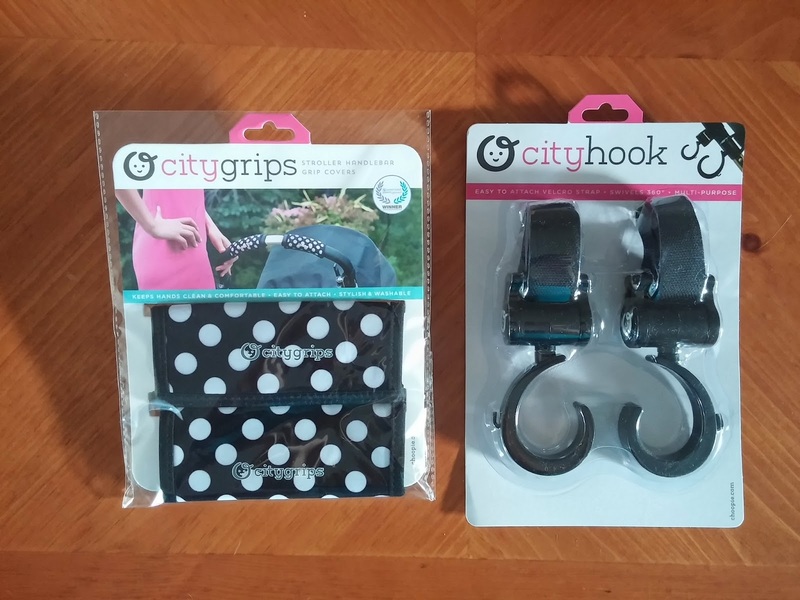 You can buy the City Hooks for $9.99 & the City Grips for $12.95 (the large are $18.95). Before I tell you what I personally think about Poo Pourri, let me tell you about it. 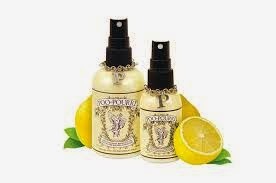 Poo-Pourri is a before-you-go toilet spray. 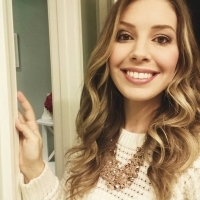 Check out their hilarious Poo-Pourri Commericial! 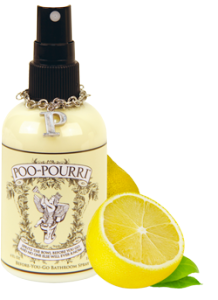 We first discovered Poo-Pourri about a year ago in a little gift shop. We bought it as more of a silly gag item. When we got in the car, we looked it up. It has AWESOME reviews everywhere you look. On Amazon, it has a 4.8/5 Star rating on over 1,000 reviews. So if you don’t believe me, read some of those! There are also a ton of YouTube reviews. I seriously cannot say enough about this stuff. I am one of those girls that will keep her husband from going upstairs for an hour after I use the restroom. I can’t help it. If I don’t want to smell it, I surely don’t want him smelling it! We both use this religiously now! Yes, you still know someone went no.2, but only because of the fresh lemon meringue smell that is left behind. It is 10,000x better than filling the room with a cloud of an obvious “I just pooped” aerosol spray. We had one bottle at first, for our bedroom bathroom. Once we realized it worked, we bought a second bottle for the main floor. 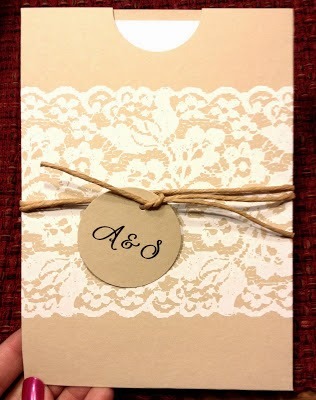 After that, I HAD to have one for my office at work (we have a single, coed bathroom…Yikes!). I now also have on for my purse, in case I need to go while at a friends house. It seems like such a comical product, but man is it amazing! But don't forget, you can also buy at a RETAILER near you! That way, you can open them and smell all of the scents! They even have a money-back guarantee! Today marks my completion of 37 weeks of pregnancy. That means, today my sweet Aubrey is considered "full term" and is prepared to come into the world whenever she is ready! I love being pregnant, it has been my favorite experience of my life (so far). That doesn't go without saying that I am ready for my little girl to be here. 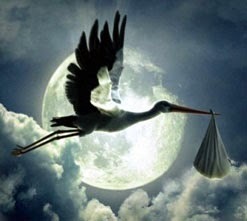 Someone told me that there is a belief that many women go into labor on a full moon. I had completely forgot about it until this morning. When I looked up the next full moon, I saw that it is this Friday. Yes, Friday the 13th. Now I can't help but to hope that I will be in a car on my way to the hospital sometime over the weekend! I have never been a superstitious person, but it's fun to join in on the fun. 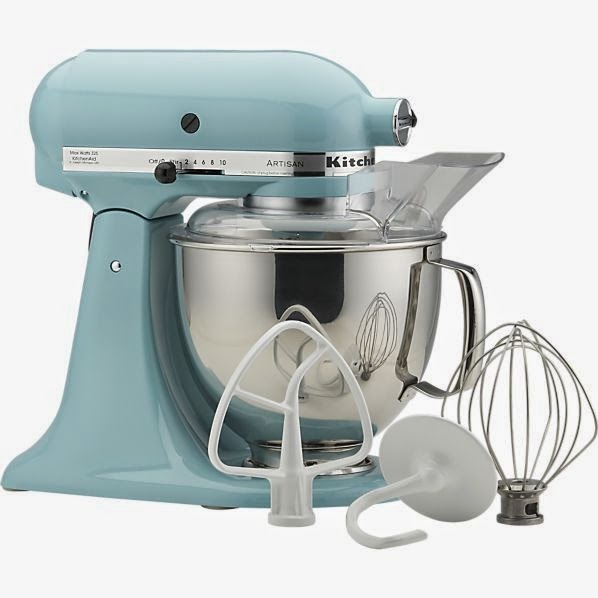 PartSelect.com has asked about what meal I would make with a Kitchen Aid mixer if I owned every attachment for it. KitchenAid is a brand I have heard of many times, but I never really knew about all of the attachments that were made for it. 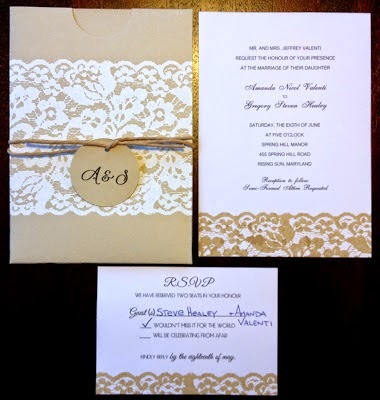 After seeing all that they offer, I got to thinking about what I would love to sit down and eat for dinner with my husband. It seems like we are always rushing around and a good home cooked meal is few and far between. I would start the meal off with a fresh salad. I would use the slicer/shredder to add all of our favorite veggies. We love to add cucumbers and carrots to our salads. Of course, fresh cheese, peppers and home made croutons would be included. My husband would have to add his olives and jalapeños after I got my serving! I come from a big Italian family, so we are big fans of pasta. KitchenAid has an attachment that you can actually make your own pasta, yes, I know! Fresh Tomato Shrimp Fettucini is exactly what I would make. We have made this recipe before, but we used boxed pasta. I can’t imagine how much better it would taste with fresh pasta! Talking about all of this food is making me want to spend the afternoon Sunday cooking for a good dinner. I’m sure my husband wouldn’t oppose! 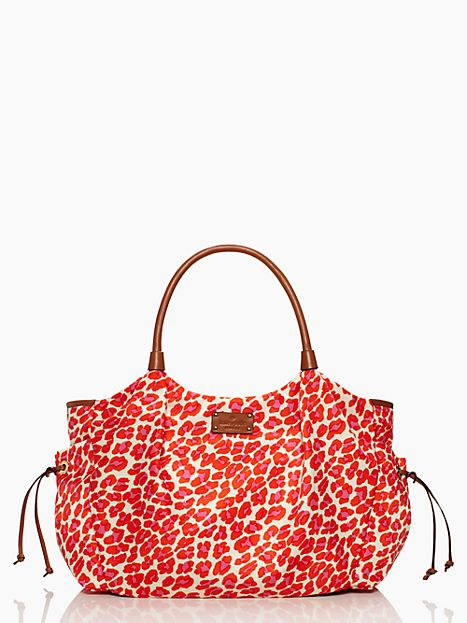 Kate Spade has launched one of their Surprise Sales! It will end in 1 day, 19 hours from now. 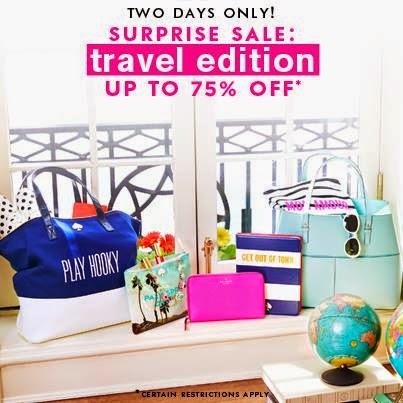 These sales are great for buying gifts, or even yourself that bag you've had your eye on! My favorite is their Stevie Baby Bag. They have available today for only $149! We had such a great photographer who did our maternity shoot. I am so happy to have these pictures of my bump. Pregnancy is by far the most amazing thing I have ever experienced and I loved every second of it! Yesterday was our 1 year wedding anniversary. It was so exciting celebrating at the beach for the weekend. Last night, I think Aubrey wanted to celebrate as well. When I say I was excited to see my stroller and car seat boxes on our front step, I am under exaggerating. I was ecstatic. Jumping up and down, ready to hug the boxes. Half of it was due to being excited about the stroller and car seat by themselves...the other half was just know we are THAT MUCH CLOSER to Aubrey being here! That was HER car seat and HER stroller that I would use when she's here. I cannot wait. 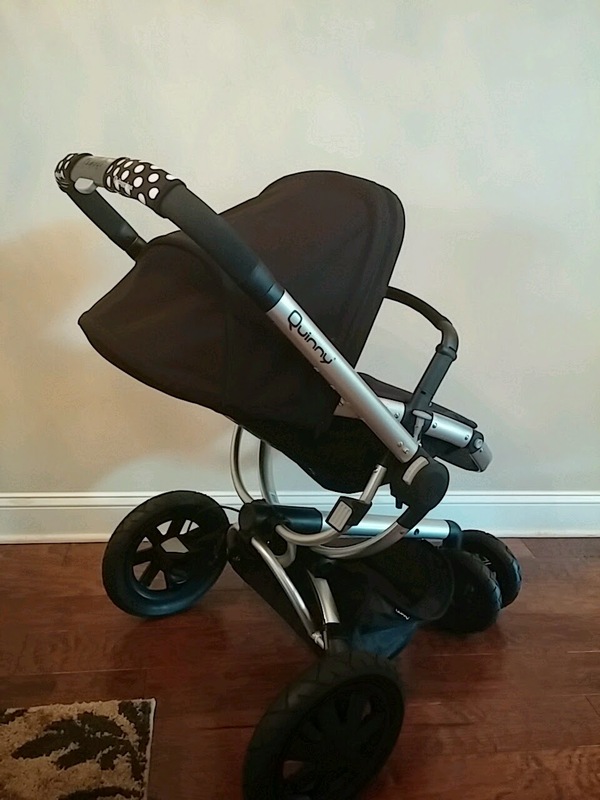 I received a Quinny Buzz Xtra Stroller and a Maxi Cosi Mico AP Infant Car Seat. 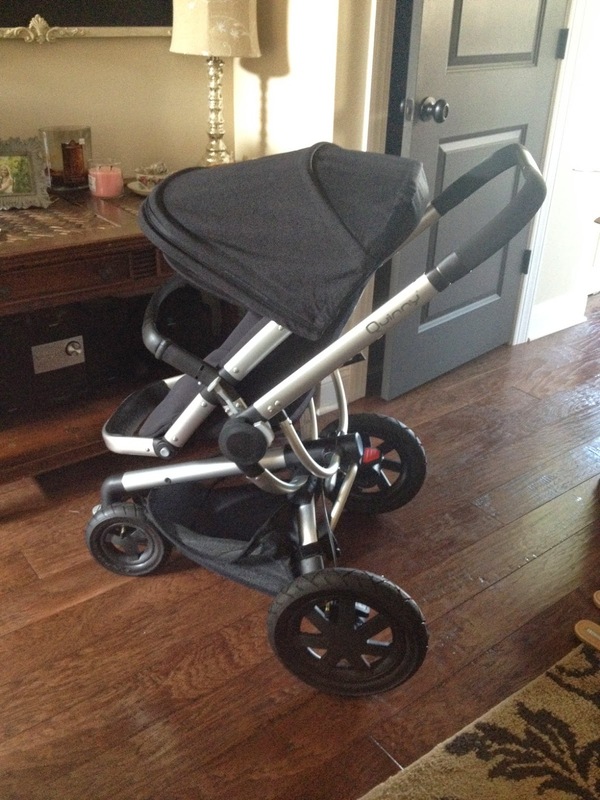 After all of the excitement with the boxes, I realized I had to put the stroller together. I'm sure it wouldn't have been as bad if I wasn't 8 months pregnant with a big belly in the way. All together, I think it only took me 10 minutes to put together. And yes, I had to do it. 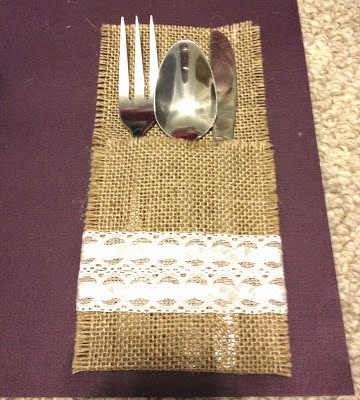 Certain things I ask/allow my husband to put together but I think it's part of my nesting to put Aubreys items together myself. Anyway, once together, a picture was necessary (of course). Oh gosh, isn't she pretty?! My mom hosted a baby shower for my sweet Aubrey. 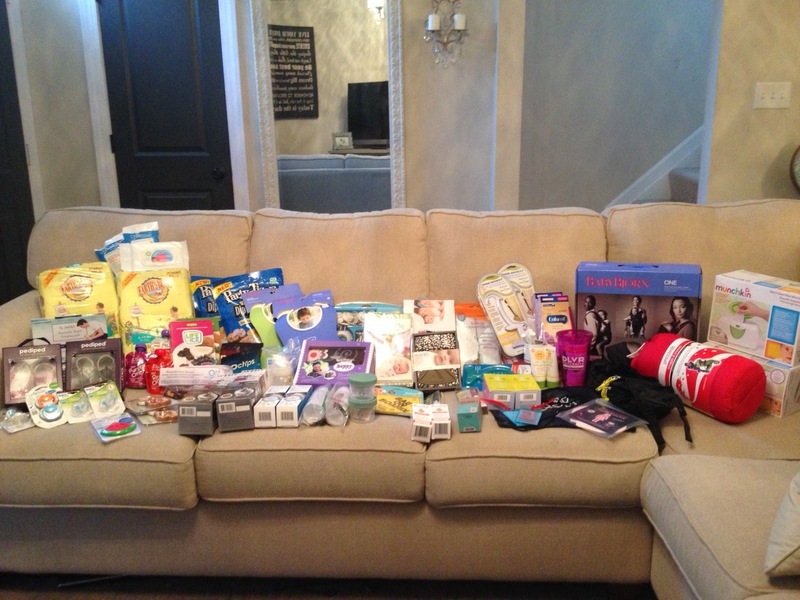 We received so many wonderful gifts! I really enjoyed being able to see all of our friends and family. 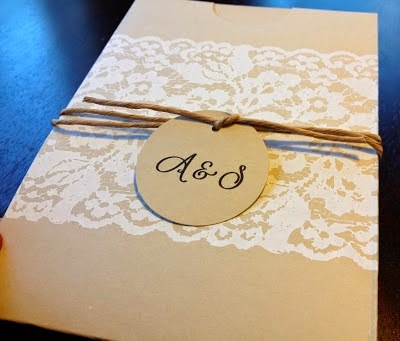 My husband sat next to me the whole time to see the gifts for Aubrey. This is my favorite picture that my brother took from the shower. We couldn't be happier that our little girl will be here so soon! 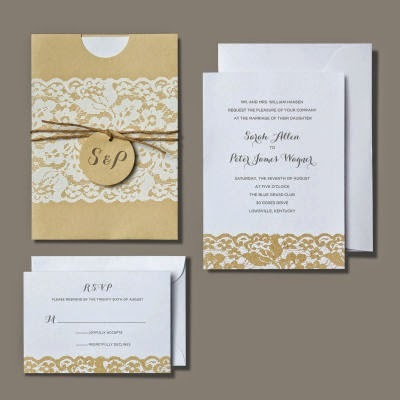 This passed Thursday I went to the Biggest Baby Shower DC hosted by Big City Moms! This event was well worth traveling to while 7 months pregnant. It was nice to get out of the house and learn so much about products for my little one. Being a first time mom, there are so many products and tips that I did not know about. My mom, who came along with me, couldn't believe the new gadgets that have come out since I was born. I feel much more prepared for Aubrey to arrive. 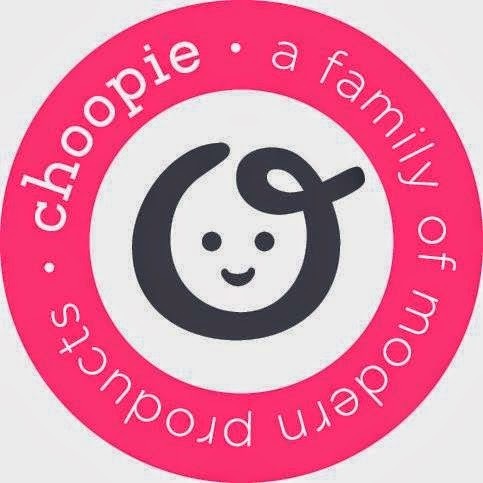 I would recommend this event to any expecting mother. It also looks like a great event for women who are already mothers. There were a lot of moms that I talked to that had great insights on things that they can't live without, or items that they love. I hope Big City Moms brings the Biggest Baby Shower back to my area soon so I will be able to attend!